So, back to Bob….Bob needs classroom jobs to keep him engaged and busy during transitions and to receive attention for appropriate behavior. This became part of his behavior plan last week. Remember Bob? Last week I talked about Bob, a student I saw who can really benefit from having classroom jobs to help with behavior. And I talked about why classroom jobs can improve students’ behavior. Following up on that, we all know it’s not as easy as just putting up a job chart and expecting it to transform the students. So what can we do to boost their effectiveness and make them really pay off? How Can We Use Classroom Jobs? When dealing with behaviors, HOW you do something is as important as doing it and why you do it. 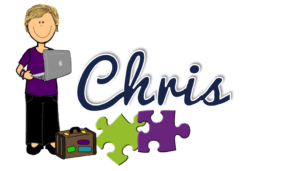 So let’s think about HOW we can use classroom jobs in your classroom. 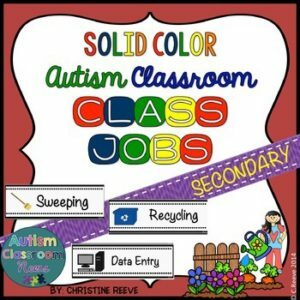 Traditional classroom jobs are typically kept on a job chart. Every student may have a job in the classroom or you may rotate through them. They typically include things like Line Leader, the Snack Helper, etc. And we may call them by titles that are more professional (e.g., Custodian instead of Sweeper; Postal Worker instead of Messenger). Generally these are jobs we assign daily or weekly. Students often covet the jobs and want their chance at specific favorites. This in itself, should show us how powerful jobs can be. 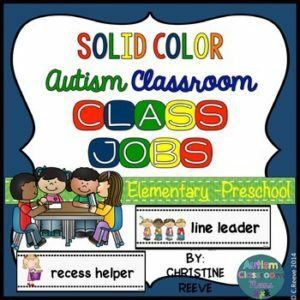 These jobs teach responsibility, give the opportunity to help others, and often help the teacher out by completing simple tasks around the room. They are the first step in the process of using jobs to improve student behavior. Transition jobs are great for students, like Bob, who really need something to keep them busy while they wait for other students to finish an activity or while you get other students settled during a transition. Let’s face it, students don’t all transition at the same speed. And kids like Bob…they are always faster and have to wait. So, since we know downtime is not our friend, give him something to do. Of course managing transitions is often difficult in our classrooms on a good day….so here are some ways to make this easier. Have a running list of possible transition jobs. Post the list where everyone can see it. This makes it easier to think of one at the moment you need it. Put visuals or even just word cards or post-it notes on your list. Then it’s easy to pull off a card or note and give it to the student to assign the job. This makes it easier for other staff to know he 1. has a job and 2. what that job is so they don’t assign him another one. And then it’s easier to know which ones you have used and mix it up a bit to keep it fresh and engaging. Can you pass these out for me? Can you put the napkins down for snack? Do me a favor and give this pencil to Ms. X.
I need your help–Sally needs someone to read to her while we wait. I’d love for you to do that for me! Oh, no, I see that the library area still has books in it. I could use your help cleaning it up before snack. You would be a great helper to get the snack area cleaned up….I bet I can do it faster than you! For some students you can ask them using questions (e.g., #1 and #2) and they will be happy to help. For others, they may say no so use questions with caution. Instead, try options #3 and #4. For students who are unlikely to do what you ask them to, have them HELP YOU do something (like #5). Finally, think about making it a game for those resistant kiddos like in #6. If you make it competitive they might help you without realizing it. Because jobs are often so coveted by our students, you can use them as a reinforcer in some situations. I have had students who earned the opportunity to vacuum the floor (in part because he perseverated on vacuums). Others have earned the opportunity to shred documents, set up snack, lay out book bags and even reset the students’ visual schedules. Typically to earn the job I use a token system or point system to make it clear what they are working for and how close they are to getting it. They might have the opportunity to earn one after each activity, at the middle of the day and end of the day, or just at the end of the day. Often I use visual representations like these. I use visual guidelines as well to help the student know exactly what has to be done (what behaviors I’m reinforcing) to earn the tokens. I might have a line leader everyday, but a special assignment would be a “scout.” A scout could be a student who goes (alone or with a staff member) ahead to specials or the playground to check out whether the last class has left and it’s time for us to go–or gets the run down of what they are going to do so the teacher can set up the schedule. I might have a snack helper everyday, but I reserve “wait staff” (i.e., waiter, waitress) for special assignment. These helpers take orders and deliver snack for me. Someone might always take attendance to the office, but a special assignment might take a message. And that message might just be an envelope that the office knows to open, look at, sign and send back. Special assignment jobs are highly engaging because they don’t get used everyday. Essentially they let you pull something out of your hat on a day that could be difficult. Everything is better when it’s a surprise. 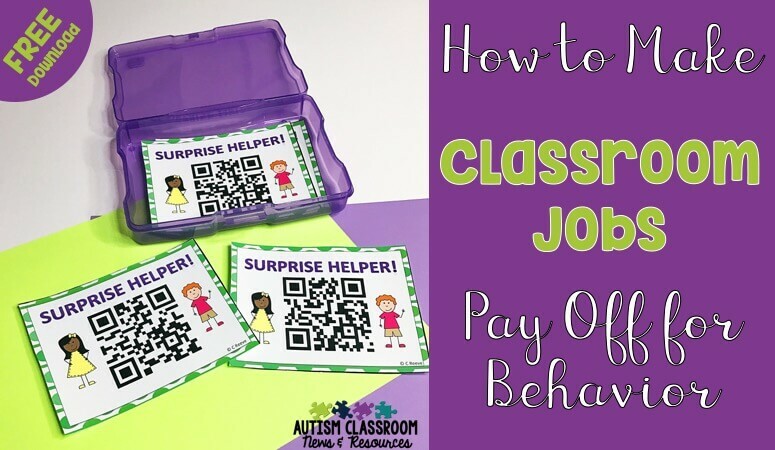 Just like with reinforcement, we can keep classroom jobs fresh by making them unexpected. Things that are held in reserve, like special assignments, will have more impact because they don’t come along everyday. You can use surprises with some of the strategies above or by themselves when needed. Essentially a surprise helper would be when the student doesn’t know what helper job he’s going to get. How can you make them a surprise? 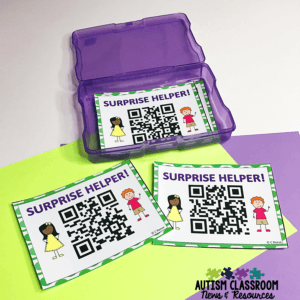 You could put helper roles on slips of paper and seal them in envelopes. You can download and use these free QR code cards that they can scan for a job. Use the Decide Now App (that I talked about for reinforcement here) to choose a job. Use a spinner board from a game with jobs as options. Have a list numbered and have the student (or someone else) pick a number. This one takes a little extra time for the student to find out what the job will be. 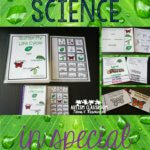 You can download a free set of QR Code cards in my TpT store. You can check out the video of how to use them at the end of this post. Similar to surprise jobs, you could also set up a choice board and have student or students choose their job. This works well if your students’ preferences don’t overlap too much so there won’t be fighting. Remember, you are trying to make your job easier and reduce problem behavior, not create it. The advantage to choices for jobs is that students will usually be more invested in jobs that they chose than those they were assigned. And more investment in their job means more engagement. More engagement means fewer problem behaviors. This one is a really cool idea but wouldn’t necessarily be key for behavior management. In this situation, students complete a job application for the jobs they want. They then get job titles and can receive salaries or pay for the jobs (one teacher even recommends paying in Class Dojo points which I thought was cool). The problem is that not everyone would get the job they want, which could lead to more behaviors. 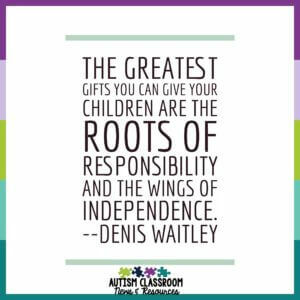 However, it does lead to teaching responsibility in a real-life way. You can read more here, here, and here. I love this ideas for typical classrooms and for older students. I just wouldn’t expect to use it as my whole behavior management system with jobs. So, are you still wondering about how we do this with Bob? With Bob we are using a combination of on-the-fly jobs for transitions, as well as scheduling specific jobs into his day at key times. 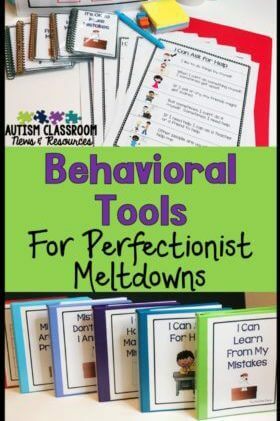 This also allows us to give him breaks disguised as “jobs” and gives him lots of attention for positive and appropriate behavior. Bob is pretty happy to help in any way he can, so it’s not difficult to give him a job quickly. 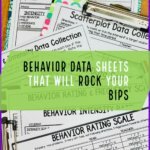 And hopefully it will curb the impulsive behaviors if he is more engaged throughout the day with this and other strategies. We are just getting started with Bob so we’ll have to see what else we need to tweak based on our data. 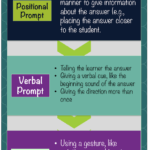 However, I’ve used all of these strategies really effectively with a wide variety of students. I would love to hear your experiences in the comments too! And if you are looking for traditional job charts or cards, you might like my visual schedule bundles or just the job sets below. Video of How to Use the Free Helper QR Codes.